Click the button below to add the Cord 05 ( 6mm Italy Black cord , 45cm , 18inches) long. to your wish list. Cord 05 ( 6mm Italy Black cord , 45cm , 18inches) long. 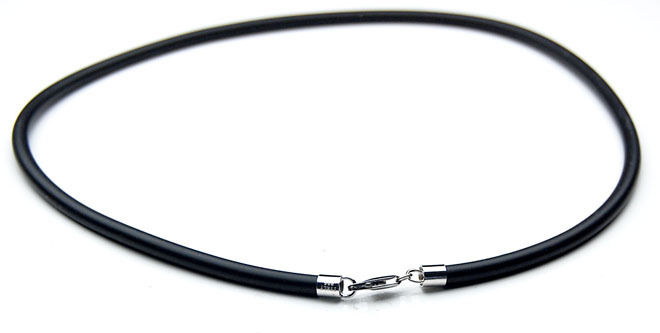 6mm Italy Black cord , With Silver Clasp (45 cm) , 18inches length . This Black Cord Is Ideal For Your Pendant .